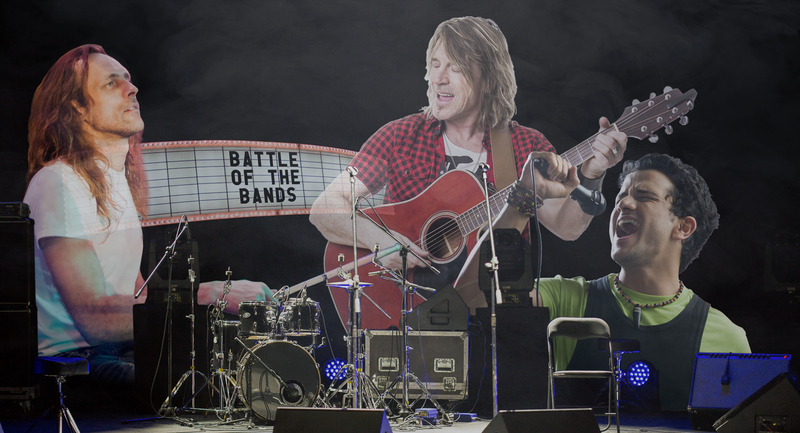 ABERDEEN, WA – This weekend, the residents of Aberdeen will experience the humming of Peavey amplifiers and an endless sea of flannel as they take a step back into the 1990s to reenact the historic 1993 Battle of the Bands. Although very few participants were alive in 1992, some aspects of the reenactment will be truly authentic, according to an actor who plays Merch Girl and wishes to remain nameless. “We’re like 99 percent sure that the same mixer they had before is being used in the sound booth,” she said while putting scrunchy pigtails in her hair. “Rodger might know. The dude’s been working security here since before I was born. I think he actually thinks this rec hall is still a real venue. No one has the heart to tell him.” Sporting a Big Dog shirt in an unironic manner, the 57-year-old bouncer did not seem to be aware of the reenactment, and routinely threw participants out of the venue at critical moments. Remaining true to form, there is no Facebook event page for the reenactment, but several stacks of flyers have been distributed at each of the various local tap houses that used to be record stores. Event organizers will make their rounds on Thursday evening, correcting the venue name on all print advertising, as well as adding an address to the flyer.